The witching hour is upon us this November as we welcome a season of films and talks that celebrate the witch. We invite you to explore the many faces of the witch on film - no longer banished to caves, woods and deserted islands, this is our chance to explore and reclaim cinema's celluloid sorceresses. Fall under the spell of a veritable cinematic coven: from The Wizard of Oz's iconic Wicked Witch of the West, to The Witches' terrifying Grand High Witch, I Am Not a Witch's little 9-year-old Shula to the witch in training of Kiki's Delivery Service and even Cher, Susan Sarandon and Michelle Pfeiffer giving it their all in The Witches of Eastwick, there's more witchy fun than you can shake a broomstick at. Want to delve a bit deeper into the witch on screen and look at the inner workings of a character that has captivated and intrigued filmmakers and audiences a like for decades? Don't miss our Exploring The Witch panel discussion (Sun 4 Nov, 14:00). This season is curated by Thea Berry, a student at the University of West of England who is splitting her time between UWE and Watershed whilst studying for an MA in Curating, mentored by Mark Cosgrove and the Watershed team. 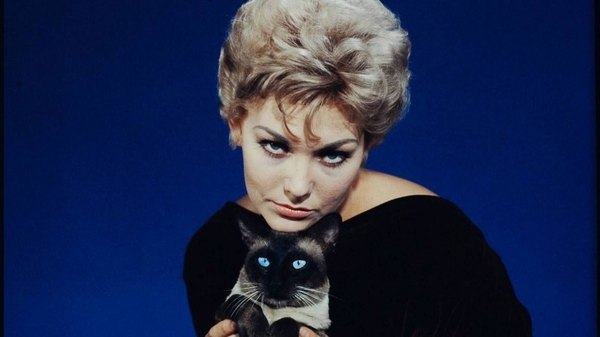 Following the success of Alfred Hitchcock’s Vertigo, Kim Novak and James Stewart team up again in this wonderfully wicked alternative to a white Christmas with a bit of the ol’ black magic. Cher, Michelle Pfeiffer and Susan Sarandon team up to dabble in magic and plot their escape from a devilish stranger (Jack Nicholson) in this gloriously camp exploration of gender politics. This lush fantasy adventure from Hayao Miyazaki follows Kiki, a young witch who must fly off to a faraway city accompanied only by her chatty black cat to live alone for a whole year by using her magical powers. The beautiful and strange debut from Zambian-born Wales-raised writer/director Rungano Nyoni is an African satire about beliefs in sorcery, revolving around a 9 year old who is accused of being a witch. This insidiously scary debut from writer-director Robert Eggers is a gripping historical horror-thriller hybrid about a Puritanical family in 17th Century New England fallen prey to an ancient evil in the woods that surrounds them. One of the most unnerving films in recent years. Join Tara Judah, Watershed’s Cinema Producer, as she chairs a panel discussion which delves into the inner workings of a character who has captivated and intrigued filmmakers and audiences alike for decades: the witch. Luke discovers that a coven of witches are planning to turn all children in England into mice - starting with him - in Nicolas Roeg's dark and witty retelling of Dahl's tale. Kicking off the Reclaiming the Witch season, join us this for this classic to celebrate one of the most iconic witches in cinema: The Wicked Witch of the West. In this month's podcast Mark Cosgrove, our Cinema Curator, and Tara Judah, our Cinema Producer, are joined by MA Curation student Thea Berry to talk about her season of films that examines the cinematic portrayal of the witch as well as a clutch of highly anticipated new releases.